Solar Cells are photoelectric semiconductor devices that convert solar energy into electricity. Every solar cell represents an electronic device that converts sunlight into electricity. Light shining on the solar cell produces both a current and a voltage to generate electric power. This process requires a type of material that will absorb light raising electrons to a higher energy state, and secondly, the movement of this higher energy electron from the solar cell into an external circuit. The electron then dissipates its energy in the external circuit and returns to the solar cell. This will provide direct current electricity (DC), which will be transferred into rechargeable batteries so that electricity can be stored for later use. Sunlight contains packets of energy called photons that can be converted directly into electrical energy. Photons are invisible, however, once they hit a cell, they produce free electrons that move through the wires and cause an electrical current "Solar Cell Circuit". The electrical current is the electricity that powers the motor. Although you cannot see the photons, you can see the light and you can assume that the amount of photons hitting your solar cell is related to the amount of light hitting the solar cell. Greater amounts of light available means a greater amount of photons hitting your solar cell, and as a result, more power it is generated. 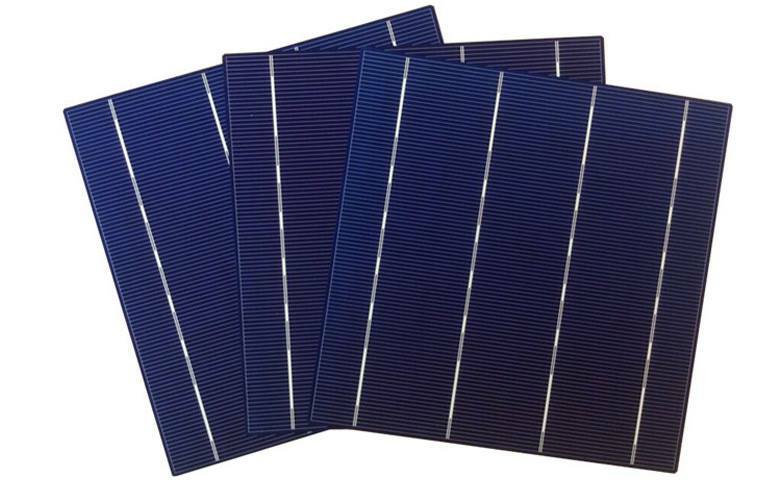 ARE Group will produce for the first time the NEW 5BB solar cell with effiency 18.8 or more.